Love steak fries? 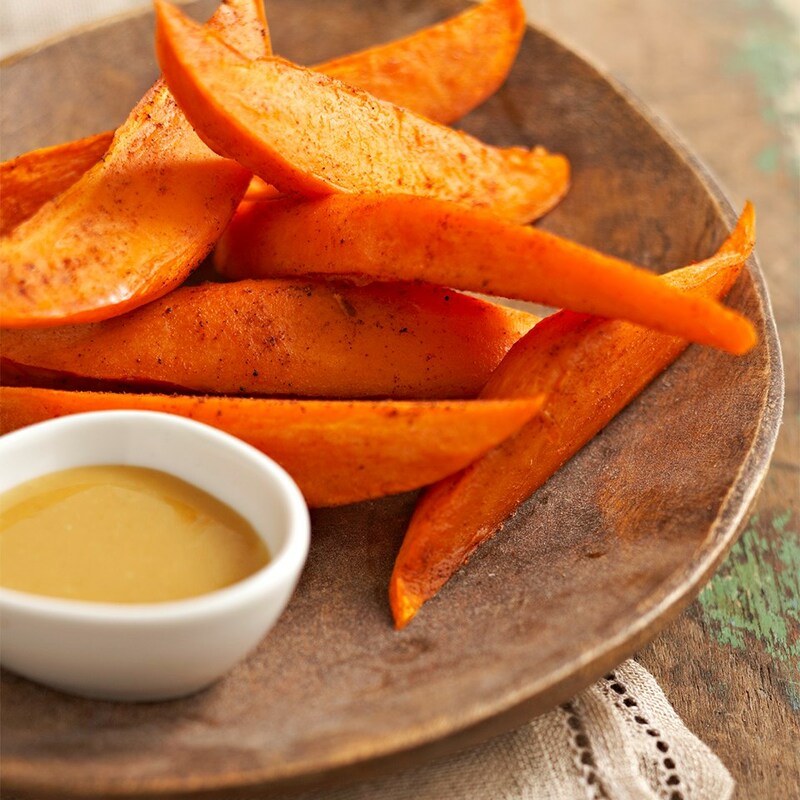 Try these sweet potato wedges with a honey mustard dipping sauce. They're pre-cooked in the microwave, then seasoned with salt and paprika and on your plate after less than 10 minutes under the broiler. To prepare dipping sauce, combine mustard and honey in a small bowl; set aside. Preheat broiler. 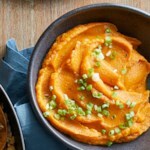 Combine sweet potatoes and water in a 2-quart microwave-safe baking dish. Cover with vented plastic wrap. 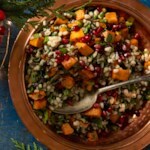 Microwave on High for 6 to 8 minutes or until nearly tender, rearranging once halfway through cooking. Drain well. 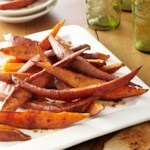 Brush sweet potatoes with olive oil. 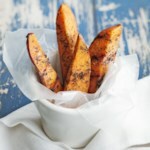 Sprinkle sweet potatoes with paprika and salt. 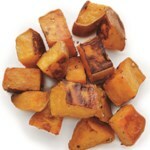 Place sweet potatoes on the greased unheated rack of a broiler pan. Broil 4 inches from the heat for 4 minutes, turning once halfway through broiling. 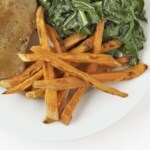 Serve sweet potato wedges with reserved dipping sauce.